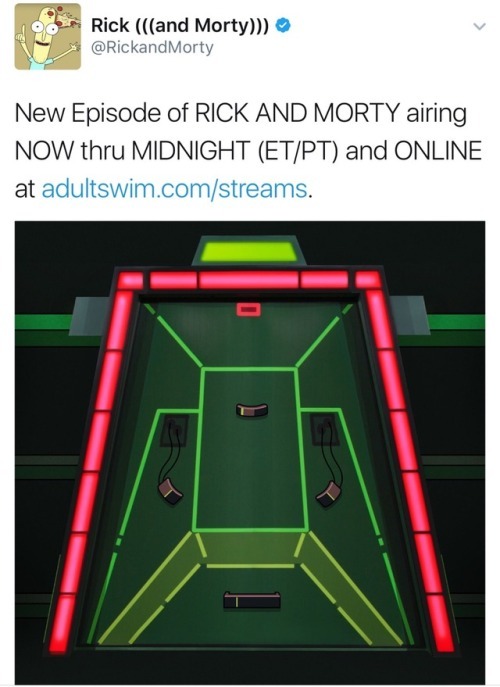 NOT AN APRIL FOOL’S DAY JOKE—Rick and Morty Season 3 is premiering on adultswim.com/streams repeating from now until MIDNIGHT (ET/PT)! GO GO GO! Yo Dawg! You’re going to want to pick up this book! 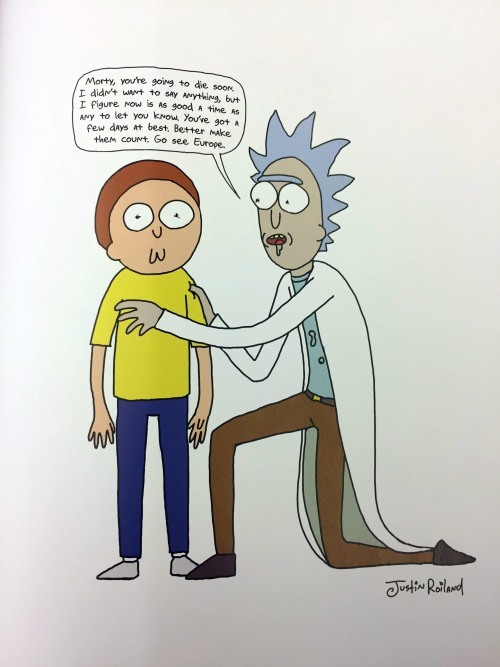 BUUURP! Okay. Now that, that’s out of the way. 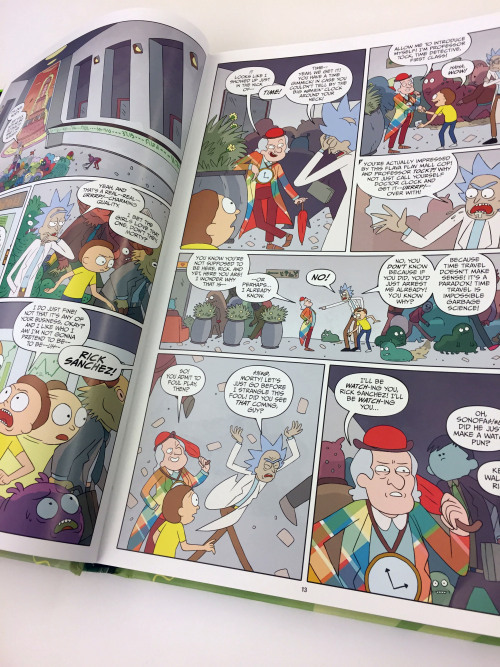 This hardcover comic collection is the perfect thing to hold Rick and Morty fans over until the show is back on the air. If you’re unfamiliar with the show, you’re missing out. 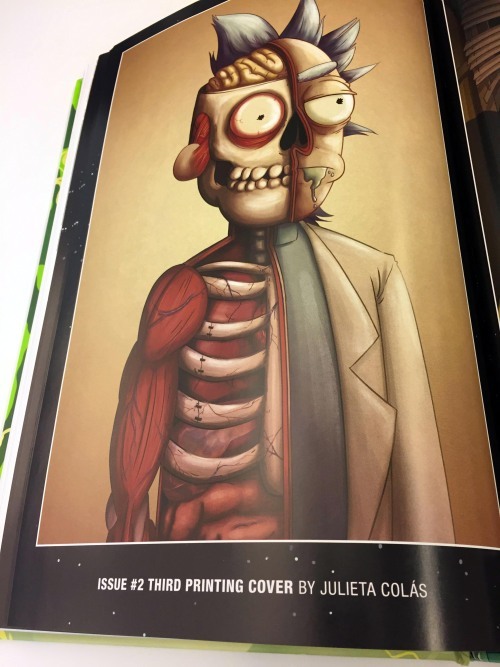 It follows the antics of super genius, alcoholic, and interdimensional criminal Rick Sanchez and his grandson Morty. 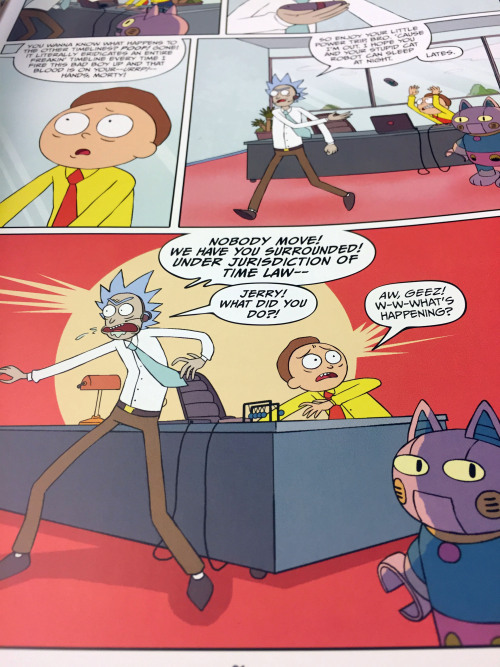 The comic takes place prior to the season 2 cliffhanger, or in another universe…sometimes it’s hard to tell. 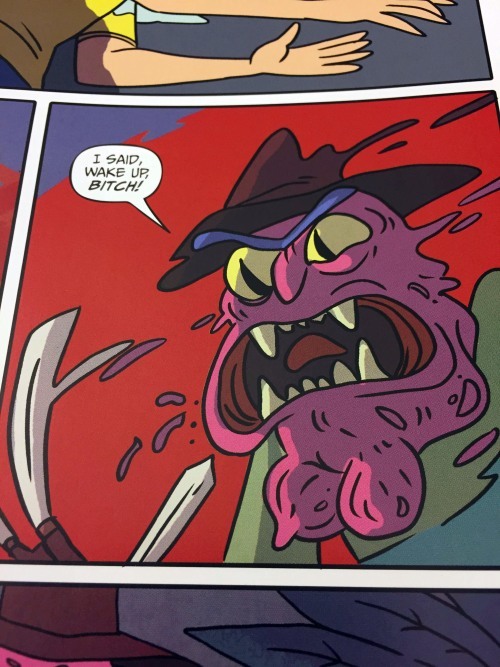 Some old characters make an appearance, while some new ones show up in delightful stories that fans will appreciate. 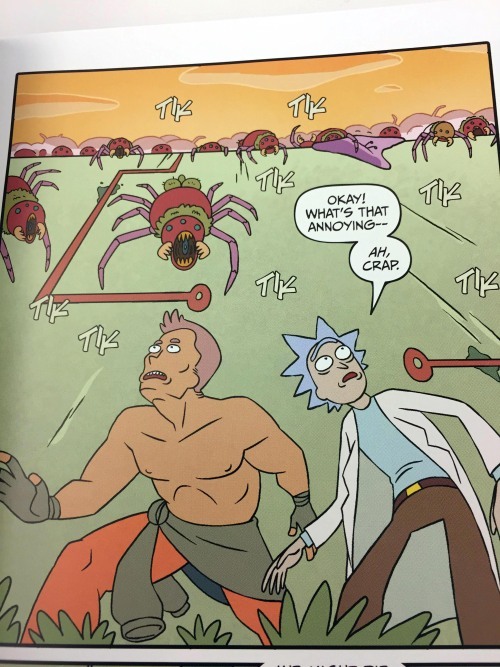 The art is fantastic — in some comics it perfectly replicates the cartoon, while others nicely transition into other styles. Also, the book’s huge! And it talks to you. 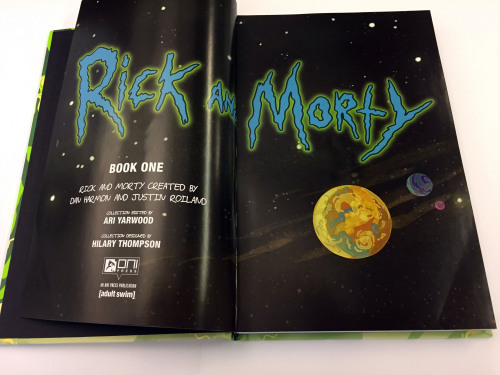 Seriously, there’s an original introduction recorded by Justin Roiland, co-creator and voice of Rick and Morty, just for this book. While a talking book is delightful, you might want to keep the tab that keeps it from talking every time you open the cover. 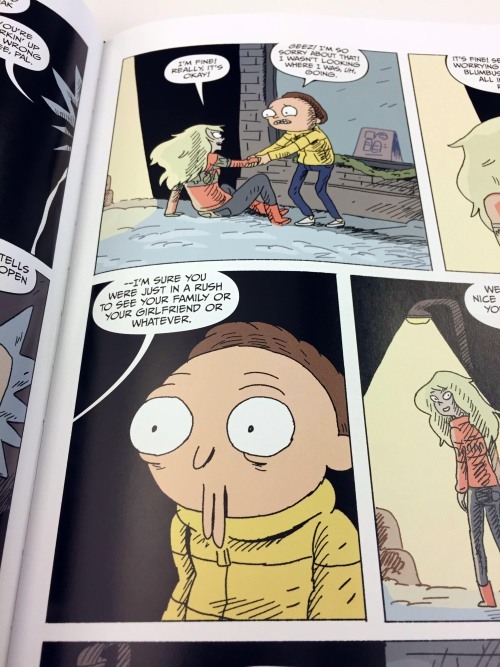 Like the show after reading the comics, you’ll be left with all sorts of existential thoughts. 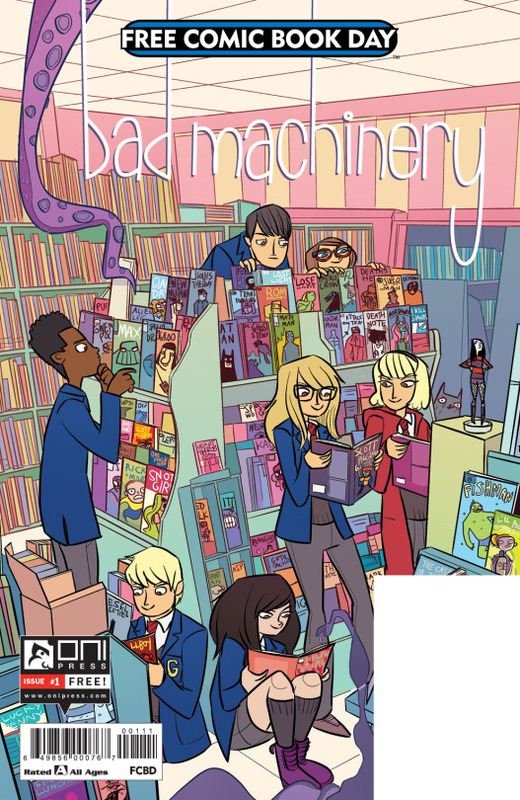 Like maybe in another dimension you’re living in a comic book and someone’s reading a review about you! Or something…I don’t know. 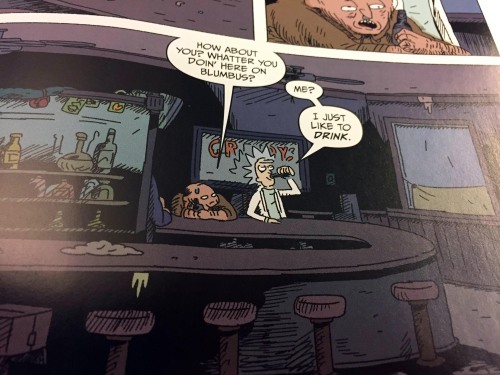 Everyone’s gonna die, so you might as well pour a drink and enjoy this comic. Only 100 more days until Free Comic Book Day 2017! 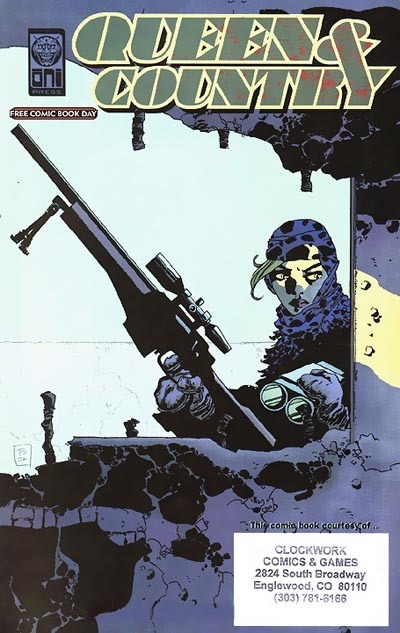 Take a stroll down memory lane with our first FCBD comic from 2002—QUEEN & COUNTRY by @ruckawriter and @steverolston ! 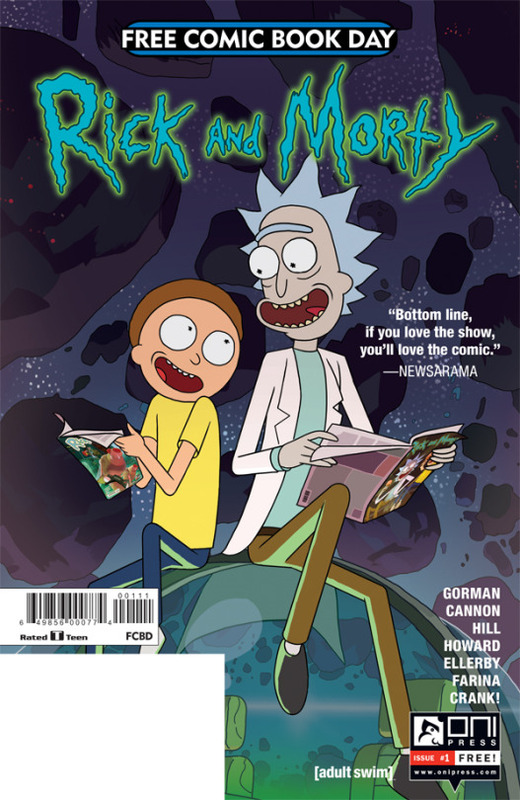 Free Comic Book Day takes place on Saturday, May 6 at participating retailers. 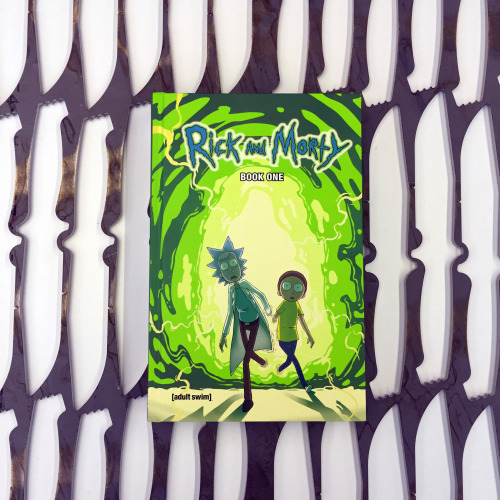 Don’t miss out on our FCBD comics this year—RICK AND MORTY #1 FCBD EDITION by @zacgormania and @dcqart with Ryan Hill, featuring a sneak peek of RICK AND MORTY: POCKET LIKE YOU STOLE IT #1 by @tinihoward and @marcellerby with @katyfarina , and BAD MACHINERY FCBD EDITION by @scarygoround !